This thread is for comments about our Transmogrification guides for Hunters. What I believe Lionel is saying is that the skin for Tuskbreaker which is also the same skin as the Hexbelcher Rifle are not in your gun skins. I've also noticed that Thori'dal, the Stars' Fury skin is also not in your bow skins. Thank you for your post. It makes it easier for me to understand. Tuskbreaker is no longer available in-game, so it won't be listed in our guides. Regarding the Hexbelcher Rifle, the problem comes from our source for the thumbnails. We take them from us.battle.net, and as you can see: http://us.battle.net/wow/en/item/94094 there is no thumbnail for this item (to prevent future similar issues, I'll be working on a different source for the thumbnails for 5.4). For Thori'dal, the reason why it is not linked is because it's a legendary weapon, so it cannot be used for transmogrification. Oh, I thought they had finally allowed the use of Legendary skins in transmog? If not, guess we'll be seeing that in a future patch. Thank you for explaining their absences from the skin's selection. As always you guys are awesome!!! Those are the main pieces. For the rest, I kept with the color and texture theme. These 2 should be removed as they are shaman only. The hunter variation are called Deadly. I'm fixing these today. Note that the "hunter variations", as you call them, can be obtained by Shamans. I would say the rifle from the Kara's Opera fight owns any hunter gun mog. Under Mail shoulders, unless I missed them, I didn't notice the Tough Scorpid Shoulders. I use these on pretty much all my hunters, since I think they have the look of studded leather. Just wondering is Rhok thelar of the ancients still obtainable ??? Rhock'delar, Longbow of the Ancient Keepers - This item is no longer available within the game. Glad I kept mine then! I can't believe they removed it, how sad. you have 3 chests in the hunter mail chest models that are incorrect representations... the photos are of the icons for the pieces but not what the actual pieces look like. to be fair, wowhead has them wrong too. chestguard of the siphoned elements, mail of the crimson coins, and mail of the geyser. Blackrock is Plate, can not be worn by a Hunter. Sadly these look so different on female characters than the preview. 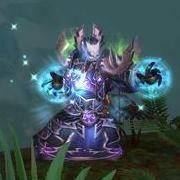 We have been making sure to update the other guides such as class/raid guides to ensure people have those first. This is definitely on the priority list, but does take some time to get done and is a bit further down for now! IIRC, those were already there. They were recently taken down for...some reason. Or am I remembering incorrectly.